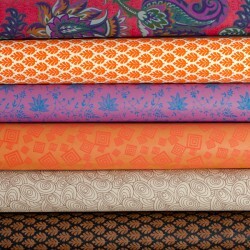 Let us wrap your gift with fair trade gift wrapping paper, or place it in a gift bag. If you want to leave a personal note, add this to your "comments about your order" in the checkout step 4. Sheet made from recycled cotton - tree free paper. Great for wrapping gifts..
Two sheets made from recycled cotton - tree free paper. 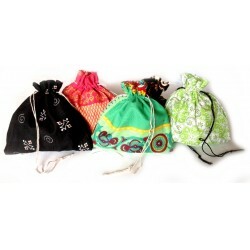 Great for wrapping ..
Are you looking for an eco-friendly gift bag option? 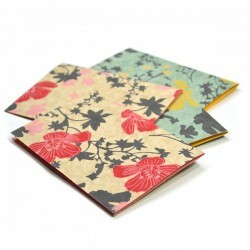 These colourful small ..
Fair trade screen-printed assorted floral motif on tree-free cotton paper. ..